Click images to see current values. 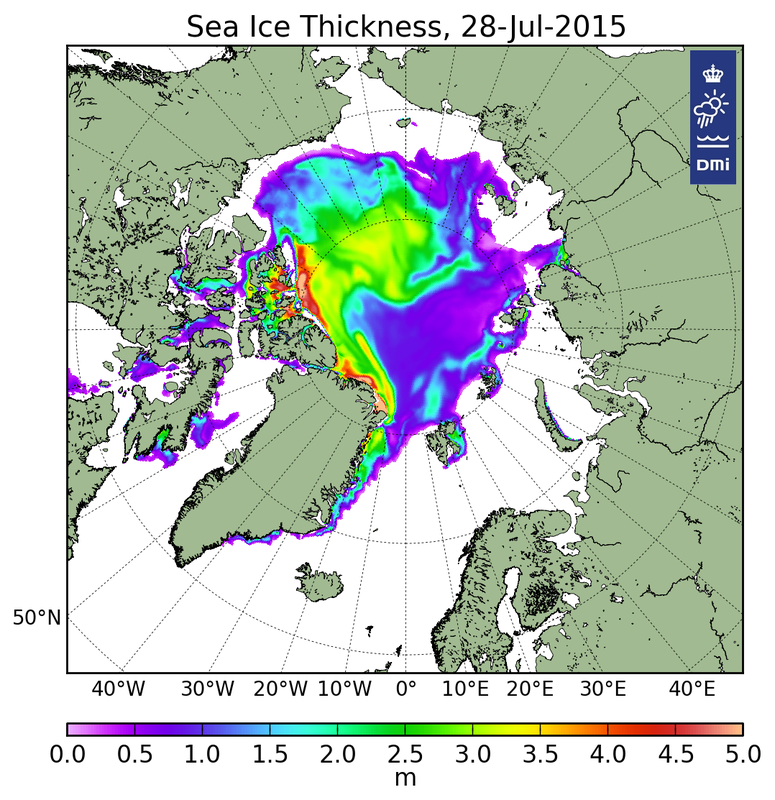 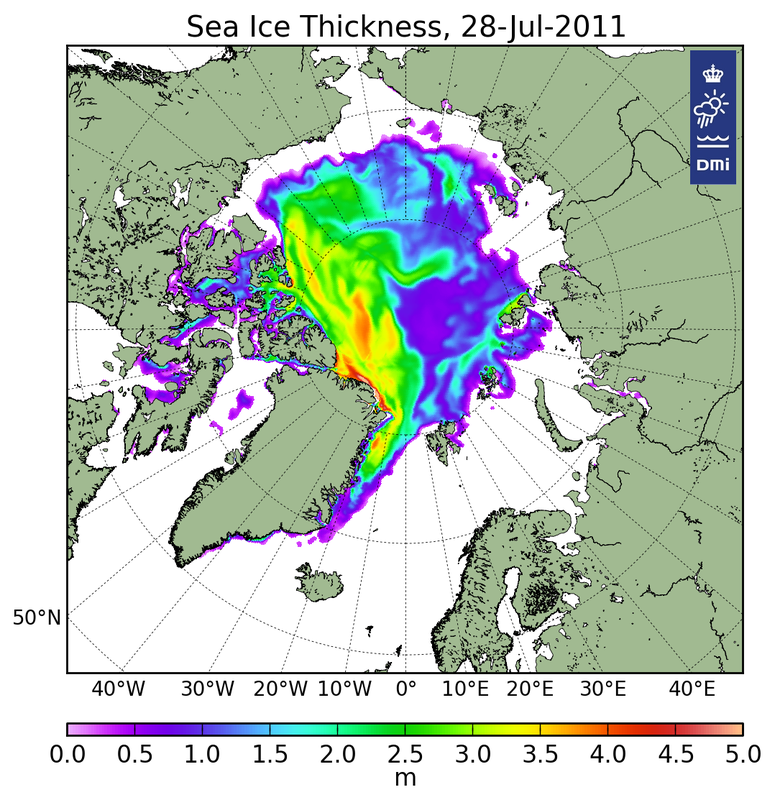 For more information, go to Arctic Sea Ice News & Analysis. 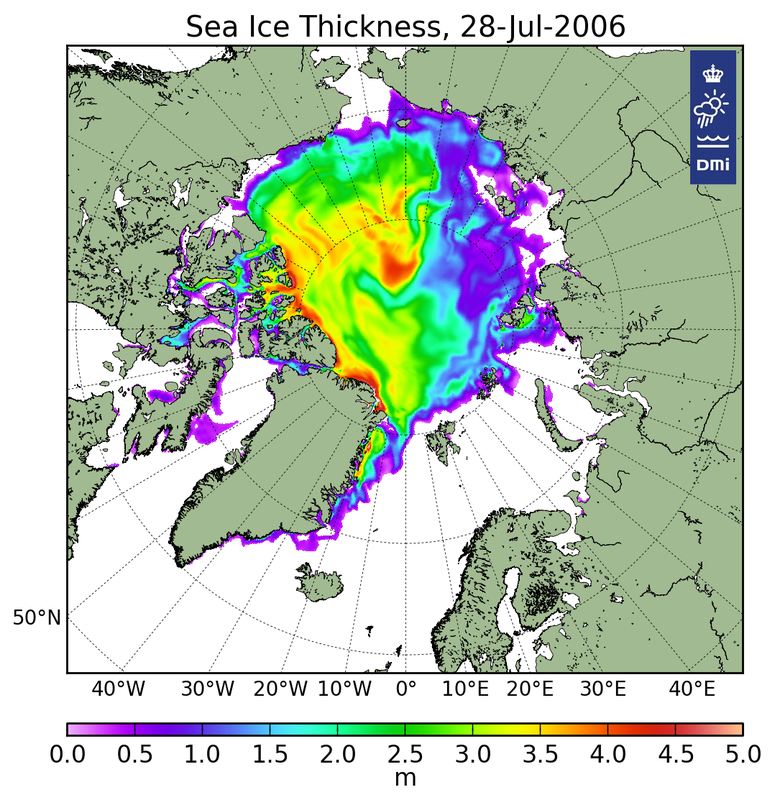 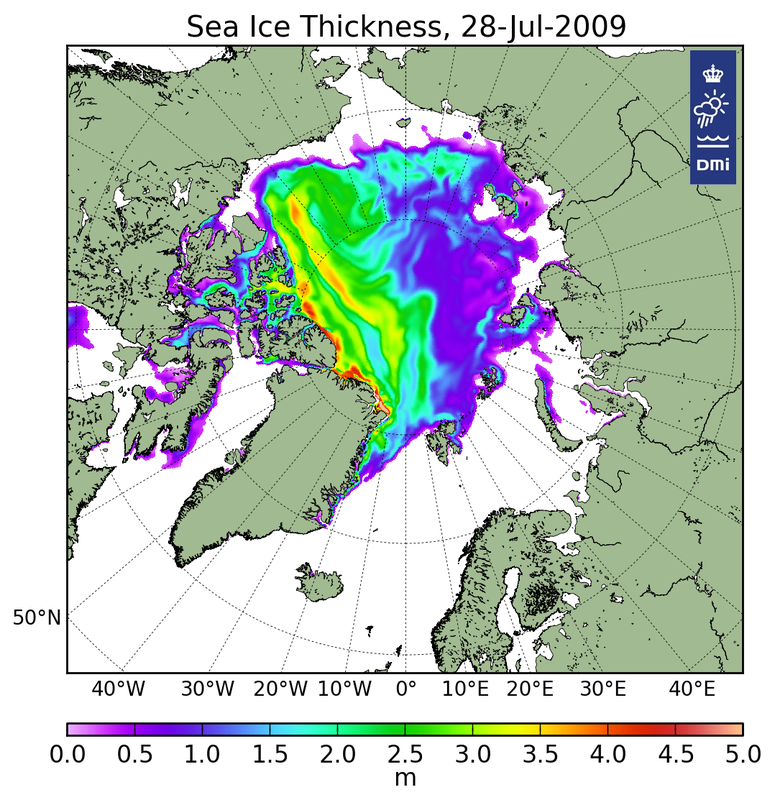 The images below indicate summer Arctic ice volume at six-week intervals, from the present back to 2005. Red is the thickest; purple represents thin ice, one meter or less. 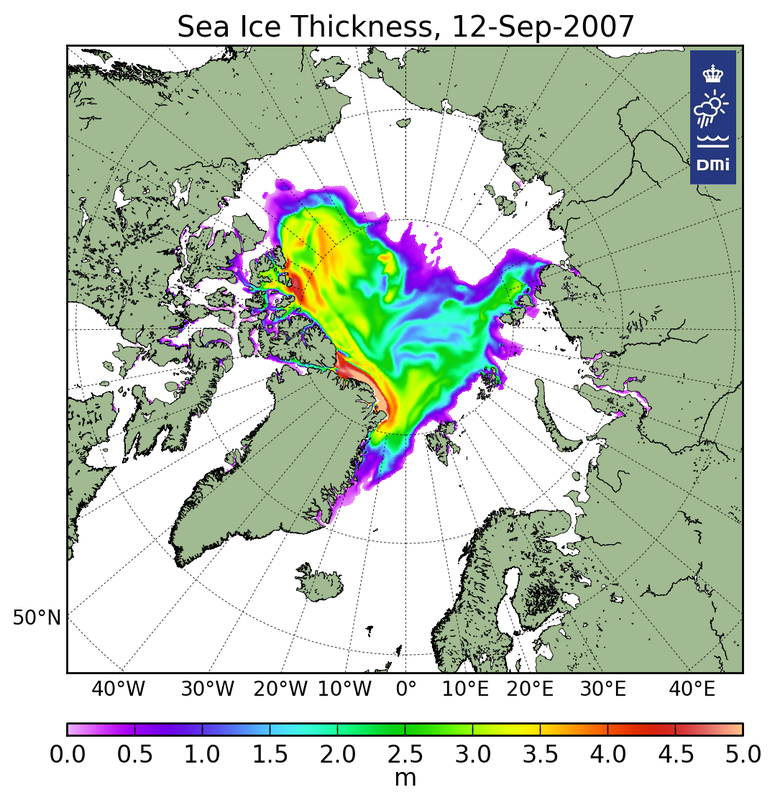 The Arctic experienced a record minimum ice cover in September of 2012, in both extent and volume, beating the previous record of 2007. 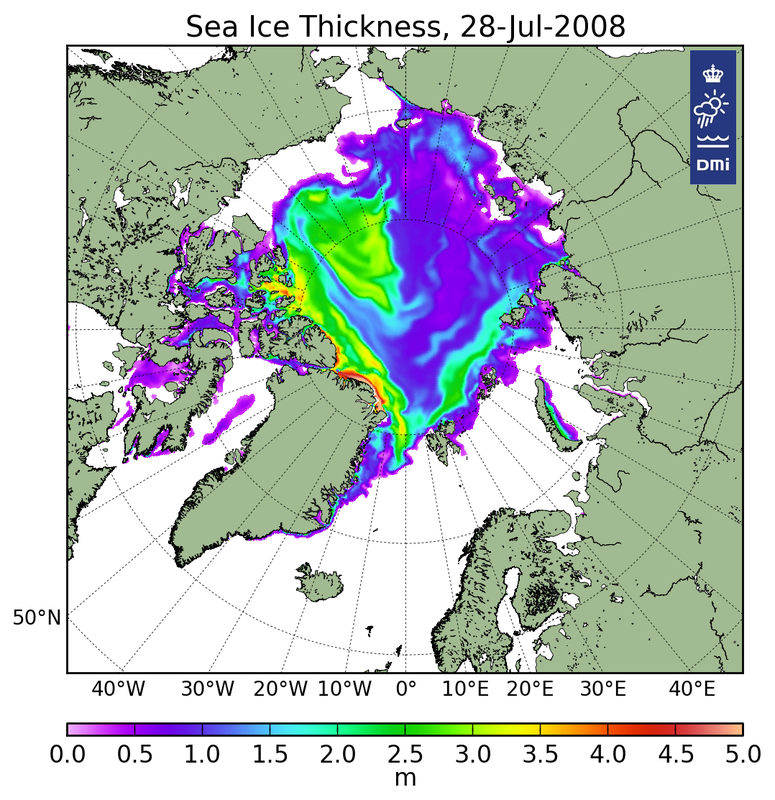 Each summer the thinner ice (blue and purple) rapidly melts away until mid-September. 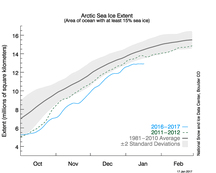 2016’s minimum ice extent came in second to the record low in 2012. Meanwhile, maximum Arctic sea ice reached a record low annual extent on February 25, 2015, which was very nearly matched in February 2016. A new record low maximum extent was set on March 7, 2017, with an extent of only 14.42 million square kilometers. 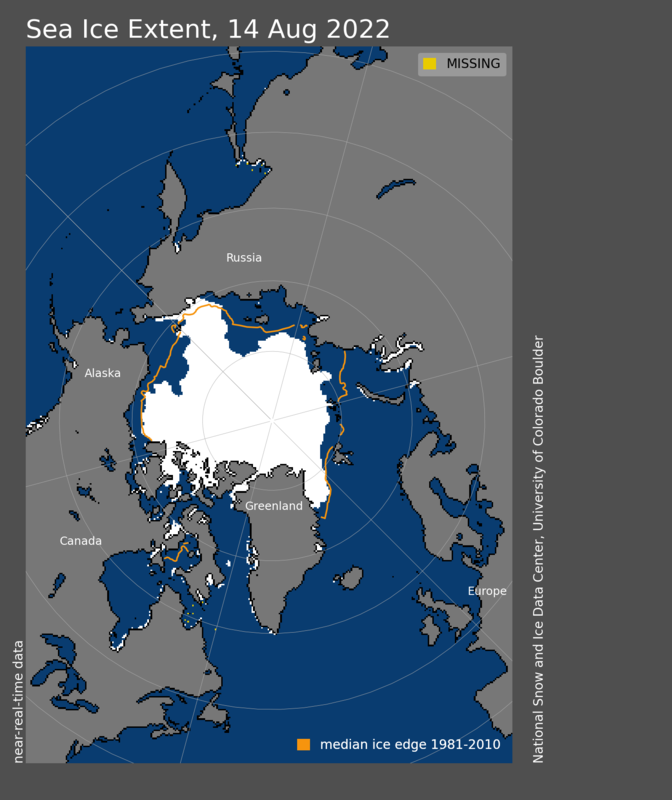 The predicted La Niña conditions failed to develop last year. 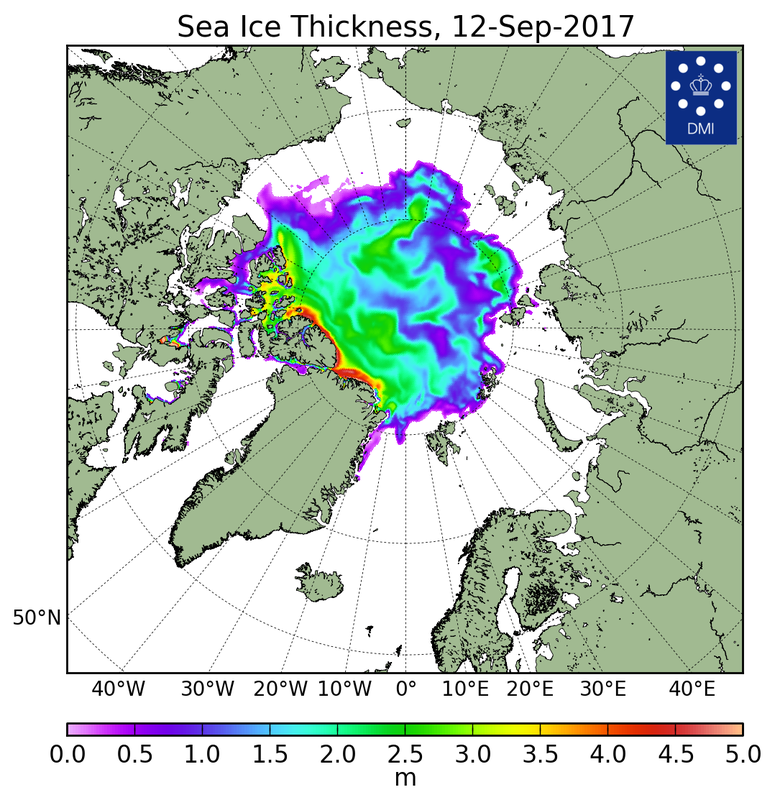 Even without El Niño conditions, 2017 is on track to be the second warmest year in history, globally, and the ice extent shows the result of continued warming. Notice in the images how small the areas of thicker ice are in 2017, compared to previous years. In any case, it still seems likely that we will see Septembers begin to be essentially ice-free in in the next decade. There is a nasty positive feedback: when there is less ice covering the water, there is more open sea to retain heat from sunlight. That melts more ice, warming the water further. By the end of the century, the Arctic Ocean may well be nearly ice-free year-round, which will cause much more serious disruptions in weather patterns than we are already experiencing. 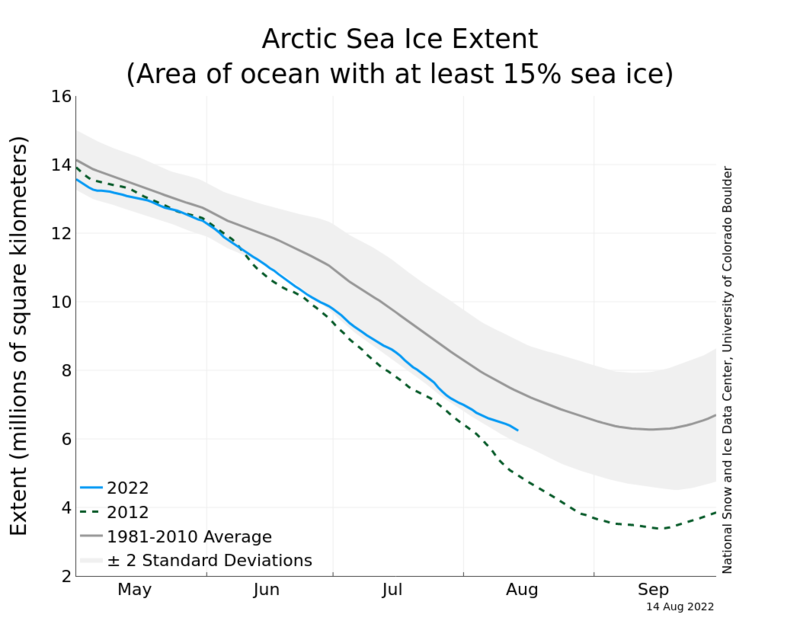 We are beginning to take steps to reduce CO2 emissions, but we need to take stronger action if we want to keep living on this planet. More images and current animations are available at Polar Portal. 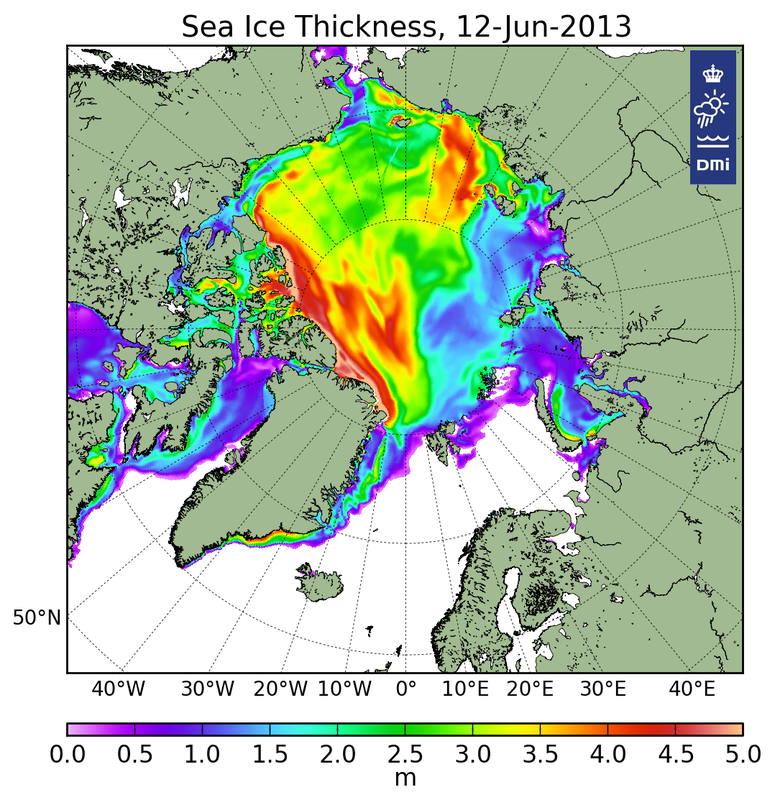 Title image credit: Carbon Brief.